Are you looking for ideas on what food to introduce to your baby next? Are you looking for food that has a high nutrient count and is easy to cook? 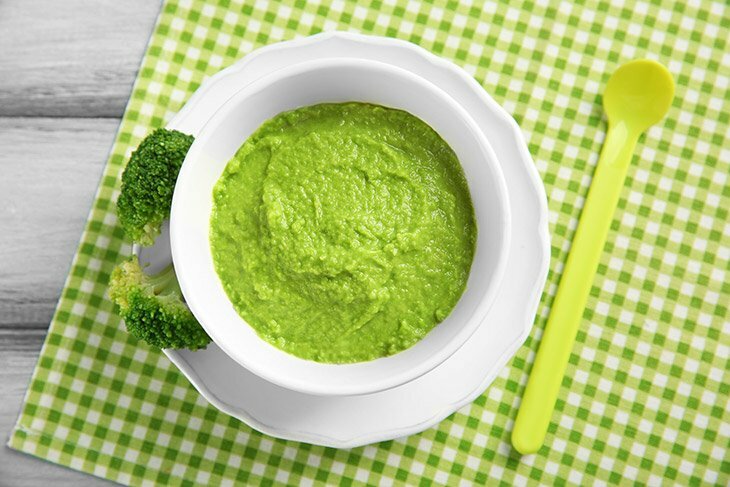 Have you tried broccoli baby food? As your baby becomes more experienced in eating, you’ll want to start adding new textures and new flavors to his diet. Broccoli is a nutrient rich food that can be made many different ways for your Little One to enjoy. Broccoli is a good food to introduce around 8-10 months of age. By this time your baby has had time to experience other foods and is branching out into new textures. At this age your baby is probably moving around a bit more, scooting, rolling over, or even crawling. 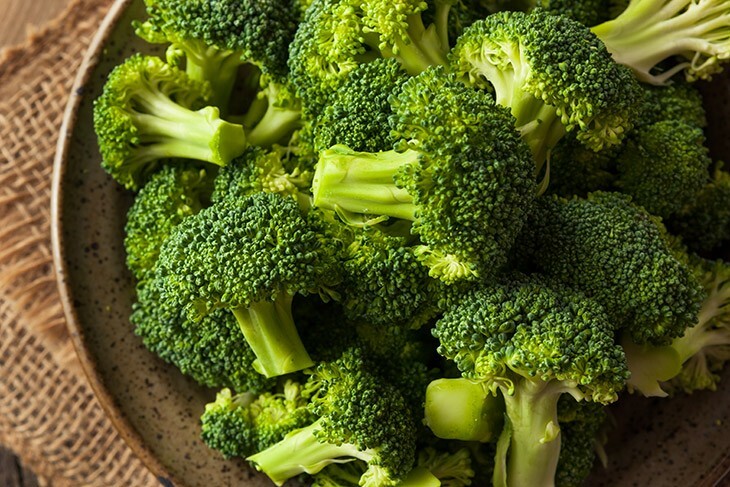 Broccoli can have some gassy side effects so being able to move helps your baby pass that gas easier. 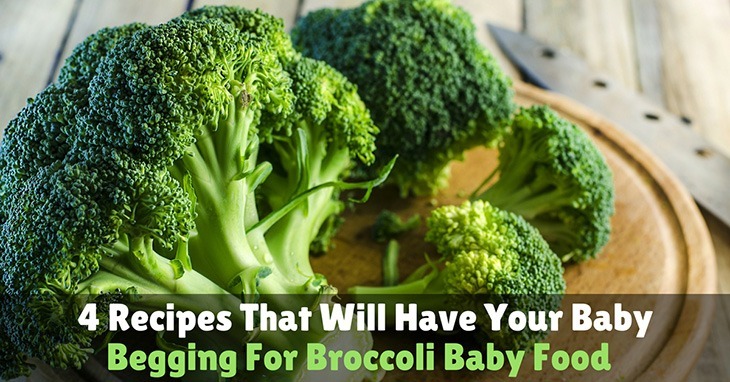 Broccoli is filled with vitamins and nutrients for your growing baby. At the top of that list is Vitamin C which promotes a healthy immune system and energy. It also contains soluble fiber. This type of fiber helps in loosening bowel movements so that it passes through the body easier. This will help keep your baby regular, however, it can cause diarrhea if too much is consumed. Some other perks of feeding your baby broccoli are it contains Iron and Calcium which are important in your Little One’s development. Along with Folic Acid which is needed for red-blood cell and DNA production. You’ll find Zinc which is important for digestion and metabolism and Protein which will help him grow strong muscles and tissues. Broccoli is not one of the vegetables that fall on the list of being contaminated by pesticides. Therefore, buying organic is up to you. But when you are shopping for broccoli keep a few things in mind. When buying fresh broccoli look for the bunch that has florets that are dark green and similar in color. Make sure not to choose one with any moldy or grey colored florets or leaves. If you see yellow flowers missed in with the florets the broccoli is too ripe, leave it. Avoid buying broccoli where the stem feels rubbery and bends easily. When storing broccoli, keep it in an open plastic baggy in your refrigerator. Don’t rinse the broccoli before putting it into the refrigerator because it will rot faster. It’ll store for up to 4 days but I’d use it as quickly as possible. If fresh broccoli isn’t available to you frozen works just as well. Just make sure that when buying frozen you buy the bags labeled ‘florets’ and not ‘cuts’. The cuts are mostly made up of the stems which isn’t what you want because the florets contain the majority of the nutrients. 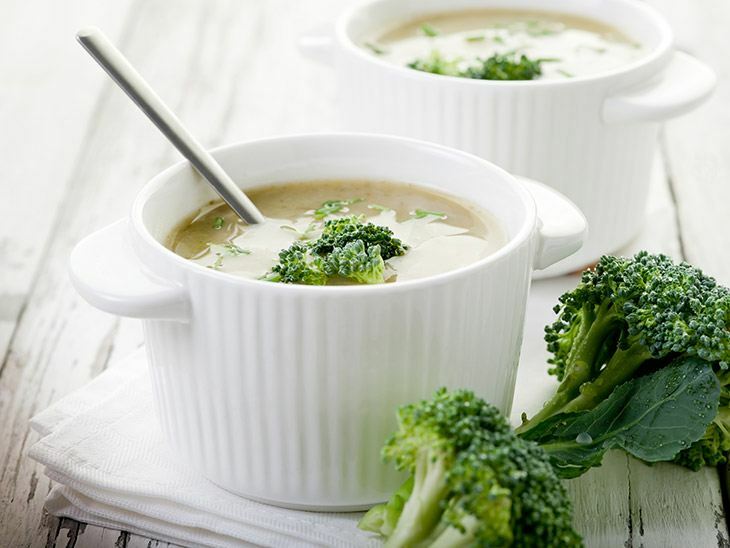 Pureeing is a quick and easy way to cook broccoli so that it holds onto the nutrients. Preparing it this way also allows you to store it in the freezer for later use. Howcast.com has a great video on how to purée broccoli baby food using a roasting technique instead of steaming. If your baby doesn’t like the taste of broccoli, don’t worry. Here is a list of foods that pair well with broccoli so your baby will still get all of the nutrients he needs without having to suffer through the taste. 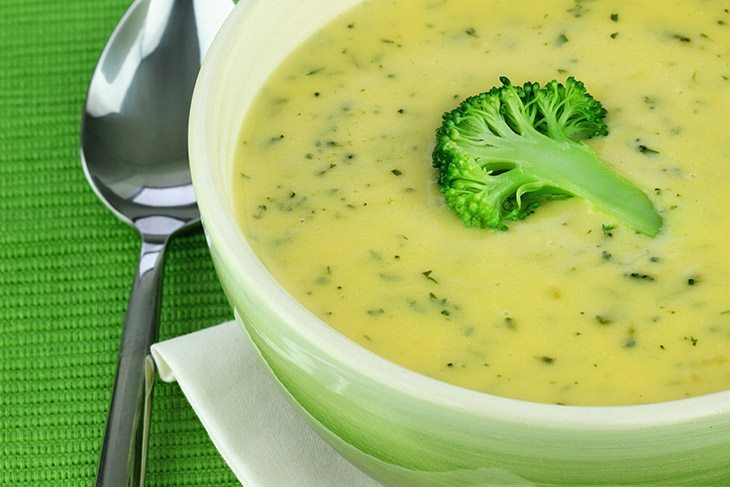 Another great option for cooking broccoli is in soup. It’s easy for your baby to eat if he isn’t quite ready for chunks of food. It’s a great recipe for the family to eat too, which makes your life easier so you don’t have to make separate meals for dinner. ThePrettyBee has another recipe similar to the one above but adds carrots to the mix for added flavor. This site also suggests an easy way to store soup. Freezing baby food is great for when you need food in a pinch, when you have a babysitter coming over, or you just don’t want to cook. This is a simple and easy fix for your Little One who is ready for finger foods. It can be premade and then heated up for a snack or mealtime. This is a great meal for your baby to experience different textures at once or it can be mashed of puréed for a smoother, consistent, texture. I remember growing up as a kid, and even into my late teens, I hated broccoli! I don't I think I know anyone who really did at that age. But as I think back I remember being served a plate of steamed broccoli as a side dish. No cheese, no goodies to make it taste better… and I think that is where my mom went wrong. So as my Little One started to get to the age of becoming more independent with his food choices, deciding what he does and doesn't like. I vowed to not be ‘that mom’... I was going to load down that broccoli with so much cheese and make yummy meals with it. And if he still decides he doesn’t like it, then I’ll hide it in soups.